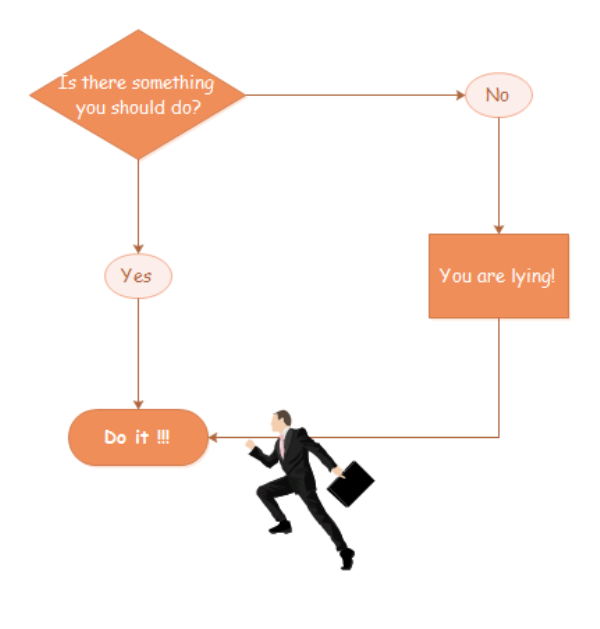 Though simple, the flowchart below is amazingly sound and powerful. If you have an issue with procrastination, here is your way out. 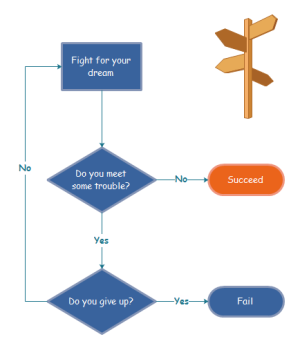 Funny Flowchart Example - How to Succeed? Click the picture to enter into the full page. The way to success is so simple, just keep on trying, never give up. Discover why Edraw is an excellent program to create do it flowchart. Try Edraw FREE.